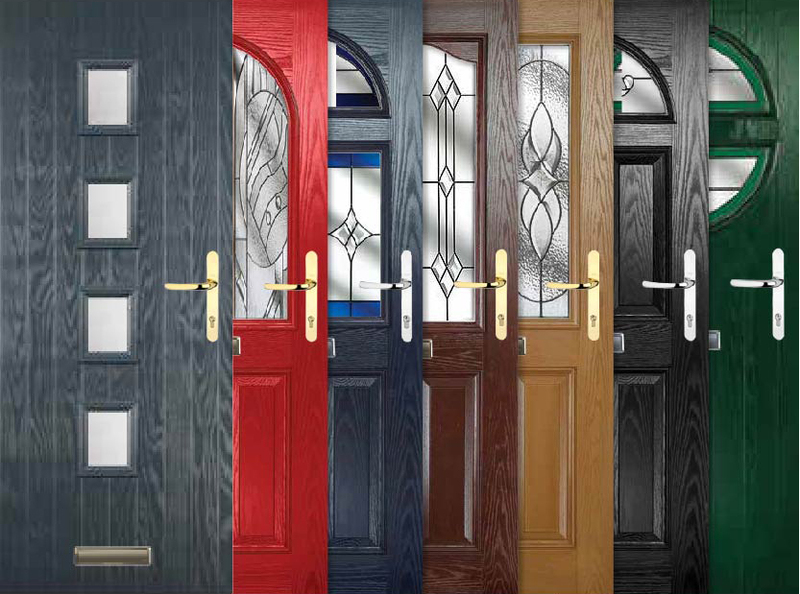 HomeLogic offers the first composite door to give the complete package–all-round colour. The uniquely co-ordinated details threshold, frame, door drip and edges combine together to make a truly striking appearance. You can choose from the oak or dark wood options in a large range of available door styles. This is the next step for composite doors. A door can be as individual as you like. Three new door colours; Poppy Red, Duck Egg Blue and Black Brown, have added to our existing ten; White, Black, Blue, Red, Green, Oak, Darkwood, Cream, Grey and Chartwell Green. We also offer colour all round options, and 9 frame colours - white, mahogany, cherrywood, oak, white grain, brown-black, grey, cream and Chartwell green - to compliment your new door colour. All of which can be configured with gold, chrome, black, white and contemporary hardware; Yale locking system for more security and peace of mind. The new threshold option, which is available on all Homelogic doors, is wider than the current threshold at 115mm and provides greater flexibility when it comes to installation.